VIVE LE ROCK JUBILEE TOUR! 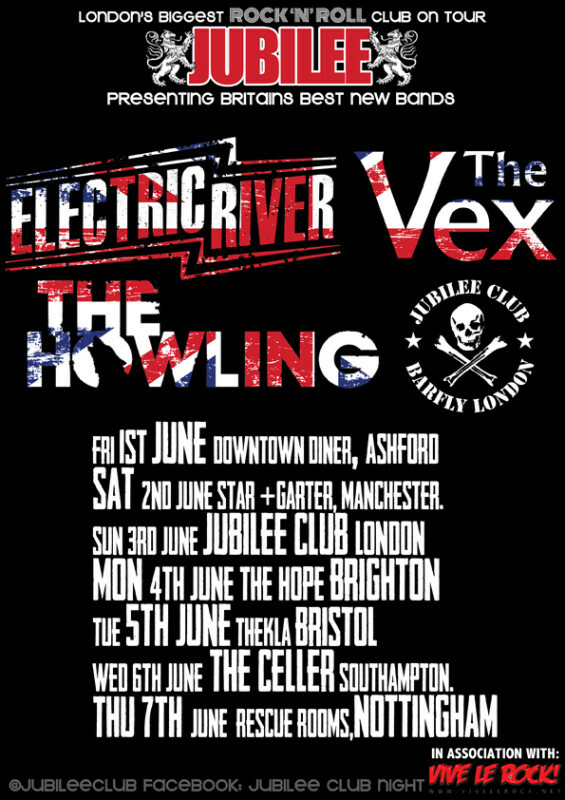 VIVE LE ROCK PRESENTS THE JUBILEE TOUR-FEATURING ELECTRIC RIVER, THE VEX AND THE HOWLING. BE THERE! London’s biggest rock ‘n’ roll club, Jubilee, is heading out on tour to present some of Britain’s best new bands. Forget the Queen, this is where the true Jubilee should be celebrated! The tour is sponsored by Vive Le Rock, and it’s one hell of a tour. For more info on the tour and the band’s, check out the Jubilee Club UK Tour Facebook page.